I have an ocular emergency e.g. significant ocular trauma, very red painful eye. Do I see a G.P., Optician or go straight to A & E? During office working hours we recommend that you see either ourselves or, if you can get in quick enough, to see a G.P. 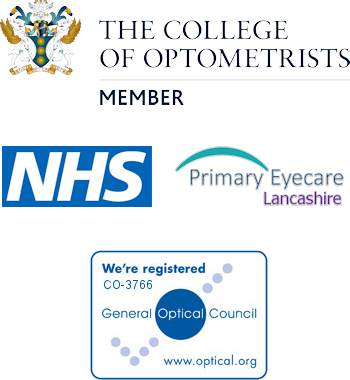 We have access to a direct referral system with the Eye Casualty department at Ward 6 at Burnley General hospital. This means an appointment can be mutually arranged with the department over the phone. This may save a four hour wait in A & E, only for them to do the same thing as there is very little the trauma doctors can do, as specialist treatment is often required for ocular disease. My eyes are… red, sore, gritty, painful etc. Should I see an optician or my GP? My doctor or optician has told me I have “XXXX”. Where can I find some more information on this that I can trust? Please see our section on ocular disease that lists out some of the more common disease that affects the eye.